Each apartment is designed to a high standard with comfortable bedrooms and all facilities needed to enjoy a self catering break in Killarney. Each apartment has 2 bedrooms, 2 bathrooms, a living and dining area plus a kitchen with conventional oven, hob and microwave. Wi-Fi internet access is free of charge along with car parking. Guest bedrooms can be arranged in a twin or double format depending on your needs. Apartments also have TV, full linen supplied and utensils. Adult guests have use of the vitality pool and thermal suite in The Spa at Muckross. There are local family swimming pools close by for all of the family. Guests have the option of onsite bars and restaurants at the adjacent Muckross Park Hotel & Spa. For availability and rates please contact us on 061 335799. The Reserve at Muckross Park enjoys an amazing location in the heart of Killarney National Park. Guests are close to the lakes of Killarney, the mountains and surrounded by 25,000 acres of stunning scenery. 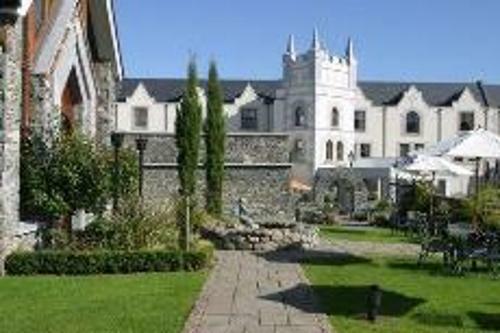 Family breaks in Killarney are made even better with the Ring of Kerry route which passes the apartments, Muckross House which is 5 minutes away and the town of Killarney is only 5 minutes by car as well.